Embrace the freedom of a flexible build and all the perks of performance for years to come with a powerful HP ProDesk 600. 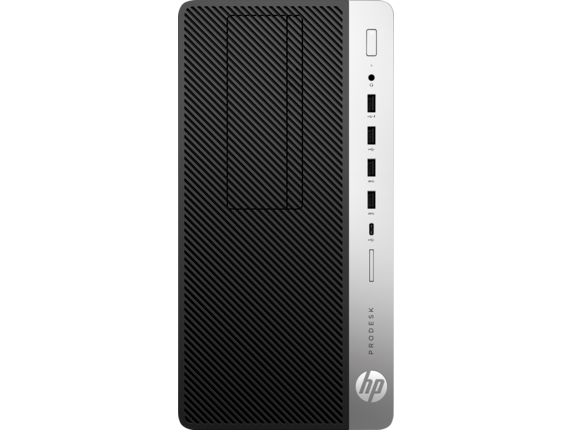 Designed as an affordable full-function platform for you and your business, the HP ProDesk 600 G3 is a benchmark micro tower that can adapt as quickly as you do. 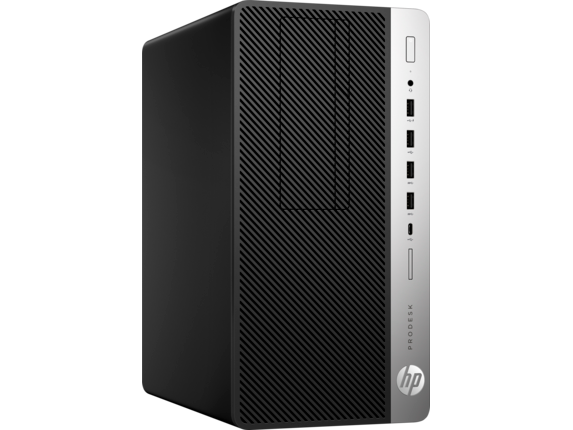 Replace bulky, older desktop PCs with a surprisingly compact option for high-powered business computing. The ProDesk is so small you can set it up for storage almost anywhere. Compact doesn’t mean you’ll be skimping on features - far from it. Start out with powerful 7th generation Intel® Core™ i5 processors and 8GB of memory and you’ll find the ProDesk 600 is a speedy PC right out of the box. It also comes loaded with the sophisticated user features of Windows 10 Pro 64, such as Remote Desktop and an entire range of office utilities for work and collaboration. Need a little extra performance in the graphics department? Select your choice of graphics card with optional NVIDIA® and powerful AMD Radeon™ configurations available for more visually demanding workloads. Buying a new PC for business means knowing which features will fulfill your office’s needs and which may become important later, perhaps even years down the road. The HP ProDesk 600 is loaded with everything you need, with plenty of room to expand in addition to legacy ports to fit the accessories you already have on hand. In fact, the ProDesk’s full usefulness may not become clear until you check under the hood and find an interior that’s ready for whatever additions the future brings. With five standard bays, four full slots, and configurable media and port options, the ProDesk has you covered in any eventuality. 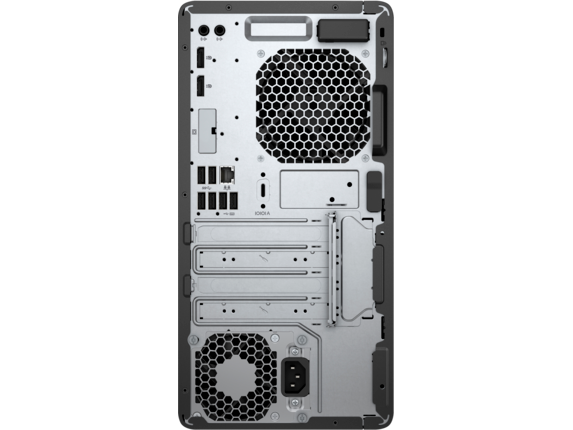 That’s enough room for as much as 64GB of DDR4-2400 unbuffered memory and up to 3TB in hard-drive space. But if you really tear through memory, there’s even the ProDesk’s optional 16GB of adaptive Intel® Optane™ Memory to consider. Start small and upgrade on your own, or simply preload your PC with the best of the best from day one. Assembling the ideal systems for your employees or your own workspace can be as simple as a click, or a towering stack of multi-stage decision. Get a competitive edge and let HP take some of the trouble out of shopping with our range of business accessories. Need a boost for your system and your work? If you ever outgrow the ProDesk’s starting features and need to start thinking about adding memory, HP 16GB DDR4-2400 DIMM is just what you need. Save time every time you boot up and provide more power for your most demanding tasks. When you depend on a PC for powerful graphics, you may want an equally powerful display that can keep up and fit in with the rest of your office. If this sounds like you, consider the HP EliteDisplay E273 27-inch Monitor. Its modern design has a three-sided micro-edge bezel and crystal clear visuals, meaning you’ll always get the most out of HP’s ProDesk 600. Need to start your search for the perfect micro tower PC elsewhere? 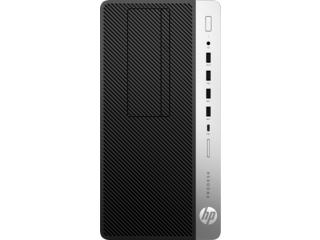 Keep HP’s EliteDesk or ProDesk Desktop Mini in mind while you consider which features you want, and how much space you may need for expandability. Professionals and consumers alike expect robust, durable technology from HP®, whether it’s intended for the home, office, or that unique mixture of both. 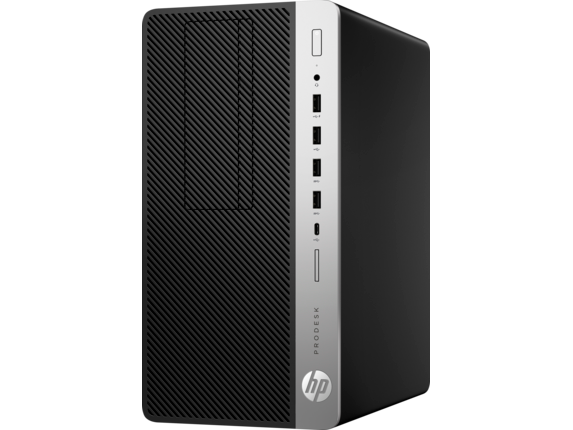 With the HP ProDesk 600’s stylish black and platinum-detailed exterior design, you’re committing to a PC that goes beyond merely fitting - it stands out. Are you concerned about data protection? Don’t be. Avoid potential vulnerabilities with an impressive suite of security and management features, including the automatic recovery and protection that comes from HP BIO SphereGen3. 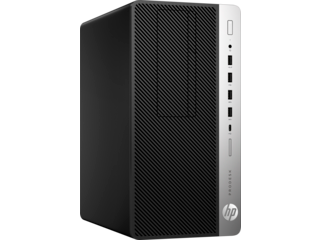 It comes loaded alongside the extensive management options provided by HP’s Client Security Suite Gen3, which provides a host of features to keep you and your employees’ information secure from theft and intruders. Best of all, the HP ProDesk 600 comes with the unparalleled protection and peace of mind of our three-year limited warranty.